Looking for a better way to give books for Christmas? Combine your book of choice with a small toy or item to spice it up a bit! Here are some ideas to get your brain working to find that perfect combination to brighten your little one's Christmas! Give the book, Pinkalicious, by Victoria Kann to your youngster along with a cupcake pan and mix. Buy a box of Legos and include The Lego Idea Book! Dress your little princess in fairy wings and include any number of fairy stories, such as The Jewel Fairies Collection by Daisy Meadows, Disney's Tales from Pixie Hollow Series or Barker's, The Flower Fairies. Give the gift of reading and the arts with Louise the Big Cheese: Divine Diva and tickets to a play at a local theater or on Broadway! Have your little one snuggle up with a copy of Davis's Ladybug Girl and a ladybug pillow pet. Send your Scientist a butterfly kit along with the book, The Very Hungry Caterpillar, by Eric Carle. Buy your little snow bunny a snowman kit or a sled to accompany Caralyn Buehner's Snowmen at Night or Snowy, Blowy Winter, by Bob Raczka. Buy Bubble Trouble, by Margaret Mahy and throw a bubble maker in the box! Click on the title links and order your books from Amazon.com. The rest of the combo gift is up to you! Good Luck! 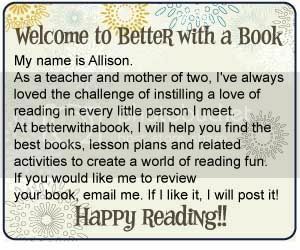 Share the gift of reading and have fun too! I love the Lego idea. Such a great idea to include a book with a toy...keeping it educational. Love it!